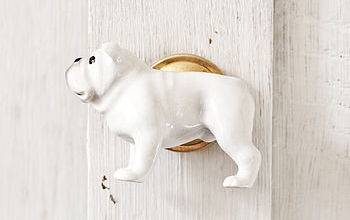 We couldn’t leave the topic of bulldog-inspired interiors without taking a whistlestop tour around the seemingly endless possibilities of supersizing our bulldog collection. Oh yes, to go with your new English bulldog chair from Brit upholsterer Joanna Mac, you can snap up a whole plethora of bulldog gear. We’ve picked out a cool top 5 to share with you here. 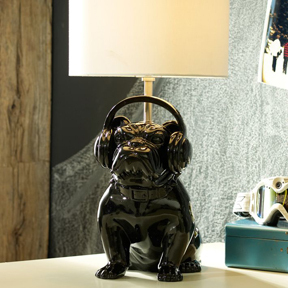 When incorporating dog-inspired furnishings into your home, try to stick to one or two key pieces to accessorise your space. Avoid overdoing this look – less is definitely more here!